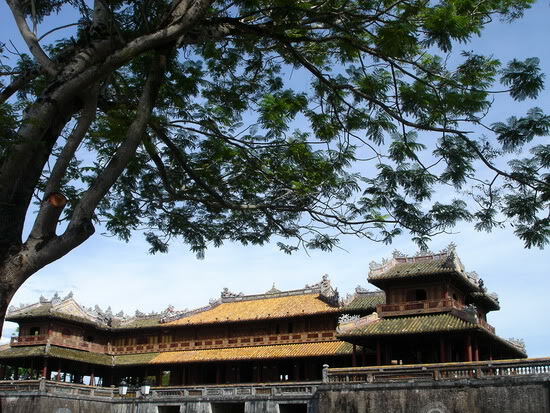 The Imperial City of Hue has long been famous for being one of Vietnam’s seven World Heritage Sites and a must-see tourist attraction to those who want to explore hidden beauties all around the country. 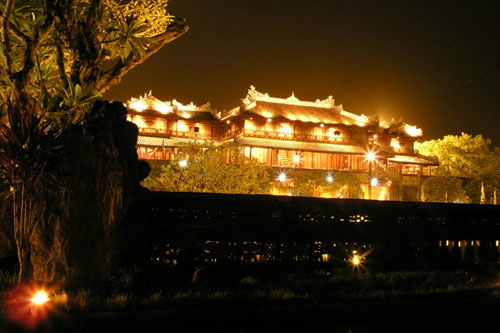 The citadel complex of Hue is now one of the relics of Hue ancient Capital that has special interest to both local and foreign visitors. 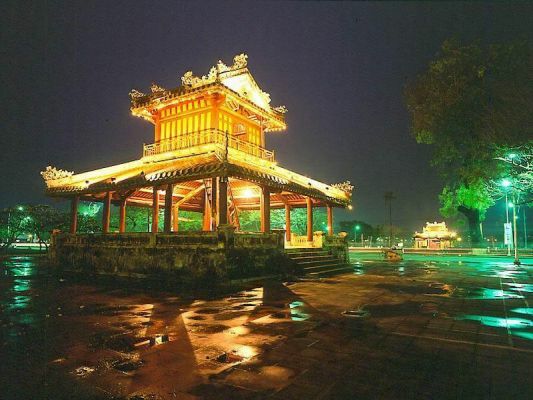 Hue was chosen to be the capital of Vietnam under Nguyen Dynasty for 140 years date back from 1805 until 1945. 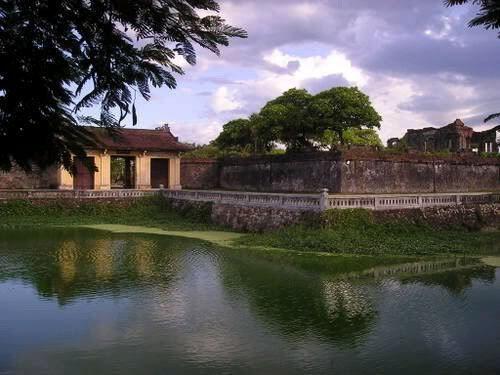 Located in the North bank of Huong River, the citadel complex covers an area of 520 ha and comprising three circles of ramparts, namely Kinh Thanh Hue (Hue Capital Citadel), Hoang Thanh (Royal Citadel) and Tu Cam Thanh (Forbidden Citadel). Hue Capital Citadel was planned to build by Emperor Gia Long in 1803 and then, construction was started in 1805 and finished in 1832. 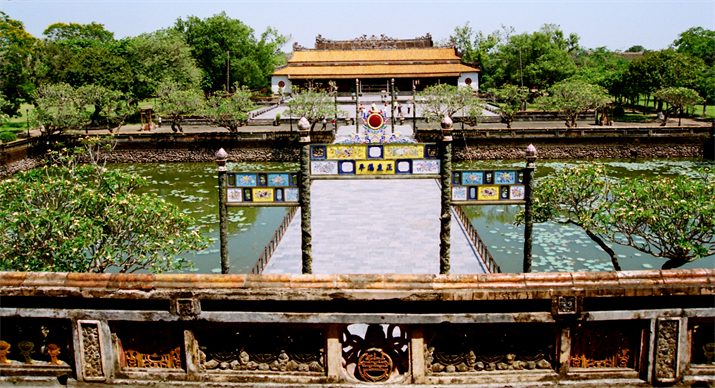 The Imperial City of Hue was finally completed under the reign of Minh Mang after 27 years of construction, making it the most massive structure built in the history of modern Vietnam.There are totally ten main gates leading to the Imperial City of Hue. The first place to stop over is Hue Capital Citadel, which has still remained nearly 140 small and large constructions. The second circle is Hoang Thanh (Royal Citadel), the most important part of the citadel. It was built with bricks and around it is a protecting trench system. Royal Citadel consists of more than 100 beautiful architectural works divided into different sections. Passing through Hoang Thanh, we enter Tu Cam Thanh (Forbidden Citadel). It was built with brick walls with 50 architectural works of different shapes and sizes. The imperial city is easy to get to. All you have to do is head straight to 1A Highway from Phu Bai International Airport and just do sightseeing around the citadel city, which brings endless inspirations to poetry and art. You can also sense an atmosphere of ancient citadel going with natural beauty that would never be forgetten.